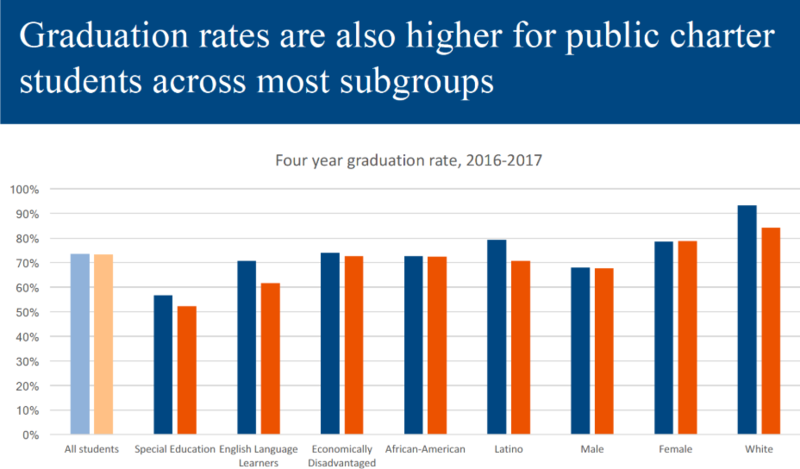 For five consecutive years, public charter high schools have consistently exceeded the four-year citywide averages for: African American (72.6% graduated), economically disadvantaged (74% graduated), and Hispanic (79.2% graduated). Trends vary widely from school to school, with nearly all the schools earning a graduation rate above the city’s overall graduation rate. 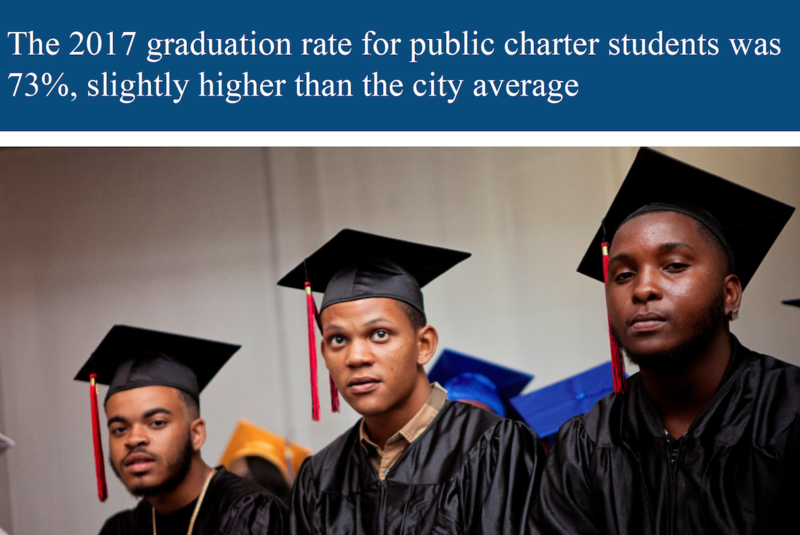 The 2017 graduation rate for public charter students is 73%. 95.8% of HS graduates (not including students who attended alternative HS) were accepted into 4-year colleges. Additionally, DC PCSB verifies the status of students in grade 9 to ensure they are on track to graduate in four years. This is one of the indicators on the School Quality Reports in addition to the high school graduation rate.